Anyone familiar with the novels of Barcelona writer Manuel Vázquez Montalbán won’t fail to note his gastronomic predilections. Although no longer with us, he lives on through Slow Food Barcelona Vázquez Montalbán who, after years of success outside the city, have brought the countryside to the urban bustle with a series of farmer’s markets. 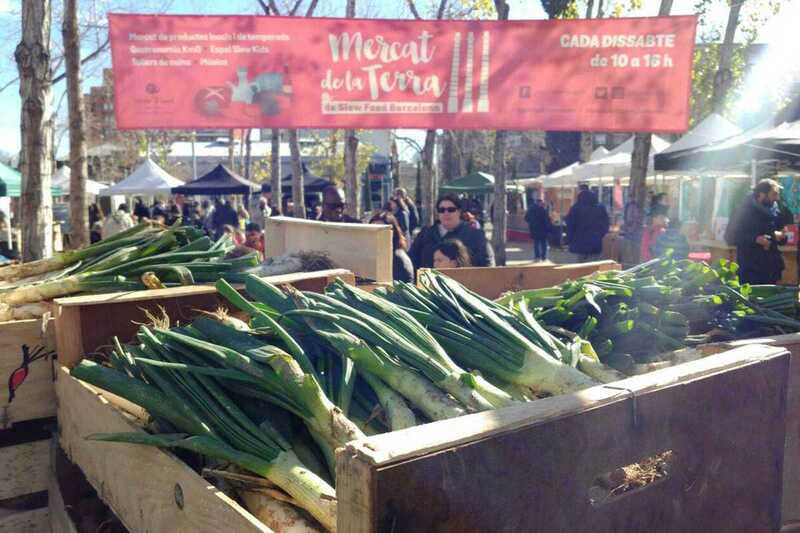 Under the iconic towers of Poble Sec’s Tres Xemeneies (three chimneys) and following the Slow Food movement principals of good (bo), clean (net) and fair (just), the market unites city dwellers with farmers and artisans and their produce, created using traditional methods that respect the environment. Expect organic fruit and vegetables, honeys, bakery, dairy produce, meats and even organic seedlings that you can plant on a sunny balcony or terrace at home. Seasonal calçots are the protagonist of March’s market – sure to be very popular so stop by early to be sure you get some – with a menu available for €7 with grilled calçots, romesco, botifarra (or hummus) and bread. Vázquez and his detective Pepe Carvalho would be proud.